Will we rent out our bikes like we do our spare rooms? Bike-renting tipped to be the next craze in the sharing economy. An Airbnb style bike-renting project, which allows riders to rent out their personal bikes, is rapidly gaining popularity in the United Kingdom. Cycle.land is an app that allows people to rent bikes from local cyclists for a small fee. Launched in Oxford in April this year after a successful investment campaign on crowd funding platform Seedrs, it is gaining traction in cities across the United Kingdom. 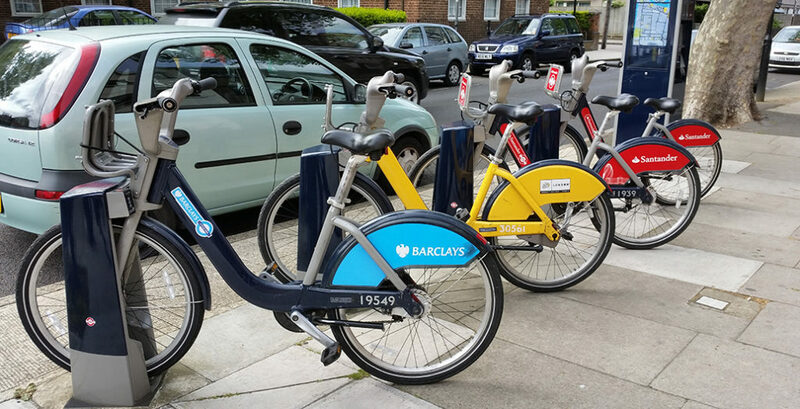 London is the latest urban centre to be added to the service, where it is often proving to be cheaper than the city’s Santander Cycles scheme. Cycle.land listings start from as little as AUD $0.80 (GBP £0.50) per day up to at least AUD $24 (GBP £15). Yet unlike Santander Cycles, bikes for rent through Cycle.land range from cruisers, road bikes and folding bikes right through to bikes with trailers and even unicycles. The key idea behind Cycle.land is one of community engagement and it aims to create a vibrant social marketplace of students, residents and tourists. The Cycle.land project raised just over AUD $159,000 (GBP £100,000) through Seedrs and as of October, it has been rolled out in Brighton, Bristol, Edinburgh and Cambridge as well as London. Along with fostering a community of cyclists, the potential draw card for Londoners already using Santander Cycles – popularly known as ‘Boris bikes’ after former Mayor Boris Johnson – is Cycle.land’s price point and lack of time constraints. Boris bikes cost AUD $3 per day (GBP £2) and cyclists must return their bike to a station every 30 minutes to avoid incurring extra charges. Melbourne and Brisbane, currently the only two Australian cities with a public bike share program, follow a similar pricing structure. Sydney plans to implement its own bike rental system before 2020. So will Londoner’s use a community based bike-share project or stick to the city’s one? Cycle.land founder Agne Milukaite told City A.M that: ‘Given the payment structure, Boris bike users rent the bikes for short periods of maybe 30 to 60 minutes and then return them to the next station. In Oxford, we see that Cycle.land users often take out bikes for three days or more, with some of our members borrowing bikes for as long as three months’. The sharing economy has grown significantly in the past decade, with Airbnb and Uber the notable successes in the market. Despite claims that the sharing economy was dead, early last week an article in The Guardian argued that ownership could soon become a luxury. And it seems that paying for rooms may have had a direct impact on reshaping cities, so is it possible that a community-based bike share project like Cycle.land could redefine our streets too? ‘As a society, we are in trouble if innovation is focused solely on cars’, Milukaite says.